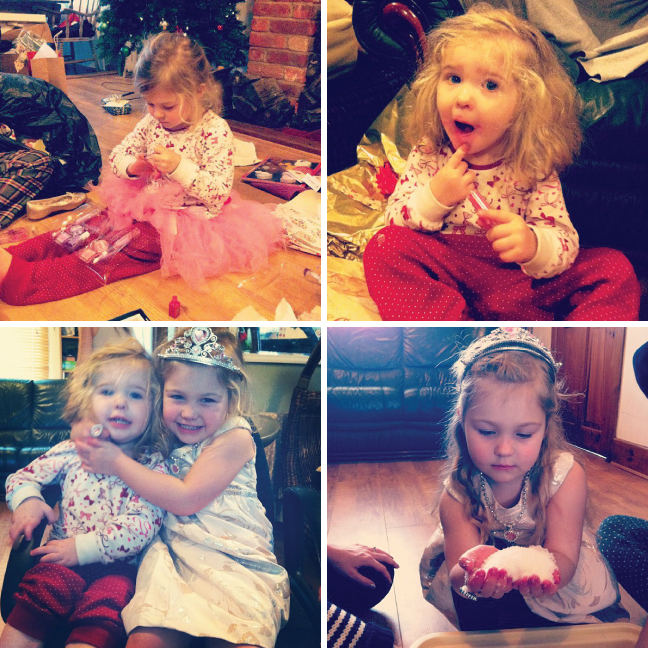 1. a little princess in the making 2. this years xmas scene 3. getting festive! 4. anything for smiles 5. painting my nails 6. putting on some lipstick 7. sisterly love 8. it's snow!!! 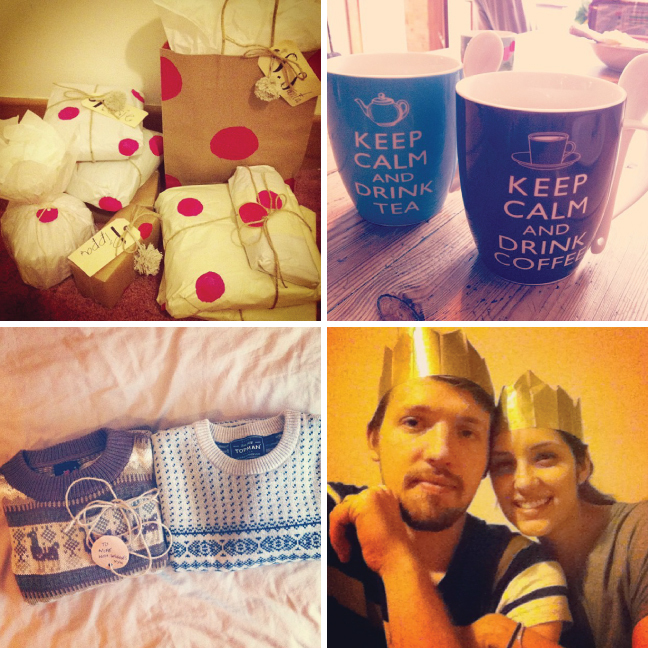 9. homemade wrapping 10. santa knows i don't like tea 11. his & hers xmas sweaters 12. traditional xmas paper crowns 13. xmas crackers 14. a very british xmas! 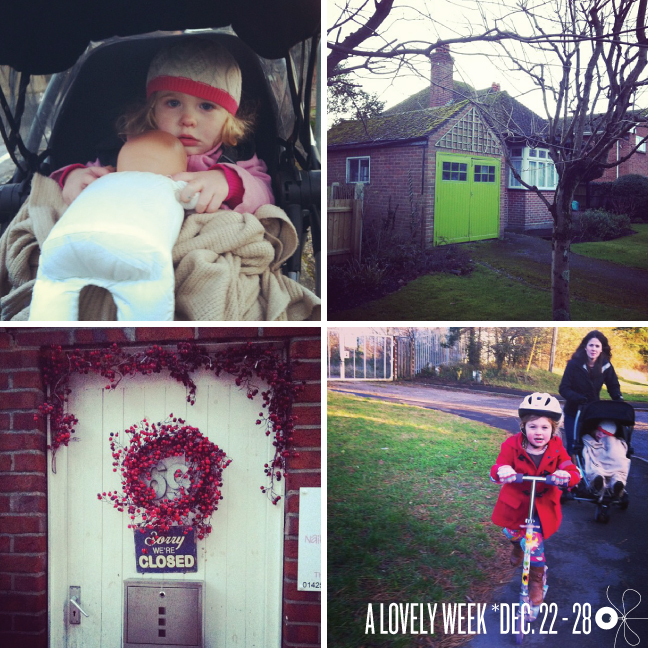 15. cheese time 16. game night at the beales 17. girl & her baby 18. bright yellow doors 19. sorry we're closed 20. mum i can scooter! 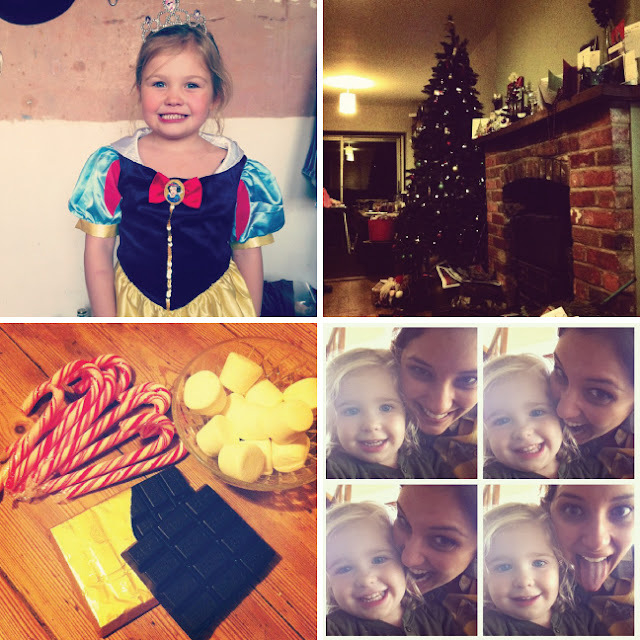 Being home with my British family for my very first British X-mas is pretty awesome! Taking in all the new traditions... all of the food (it's been non stop eating!)... all of the drinking (it's been non stop drinking too!)... man I'm going to need some recovery days once the new year rolls around... Eating X-mas dinner leftovers for the last four days... Getting to catch up with everyone and playing with my lovely nieces everyday... you know, practicing for when that day comes! Realizing X-mas morning that hubs and I had gotten each other some pretty sweet sweaters... yep, this is lasting love folks! 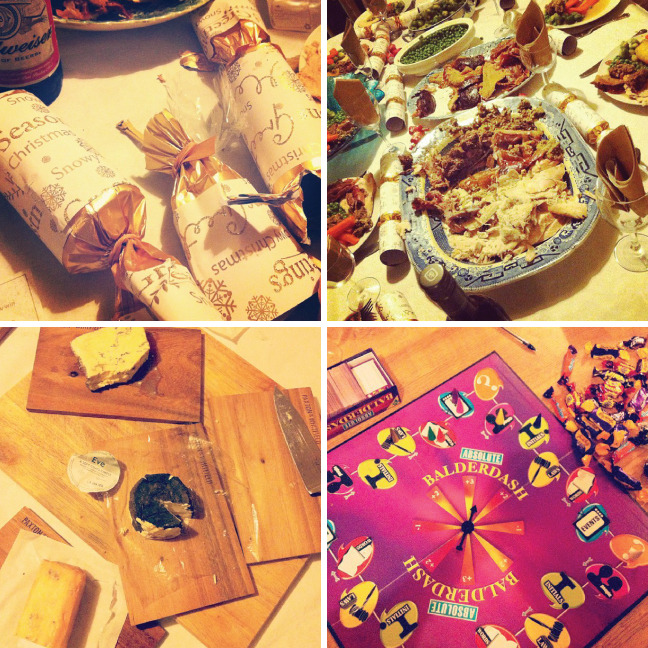 X-mas pudding... branston pickles... mince pies... pigs in a blanket... mulled wine... in no specific order... Game nights that include cheese, wine, and grapes are always a favorite of mine... Making fake snow for the nieces and watching their reactions... to say it was a hit is an understatement!